Bernhard Rust (30 September 1883 in Hanover – 8 May 1945 in Berne, Lower Saxony) the German minister of education, science and national culture, between 1934 and 1945. 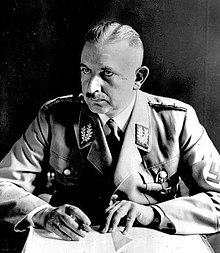 He was also a member of the Hitler Cabinet during the Third Reich. This page was last changed on 27 June 2018, at 23:50.